Ocean freight is deemed to be especially important for industry and trade. It is found to be one of the most economical ways to transport freight in the globalized economy. 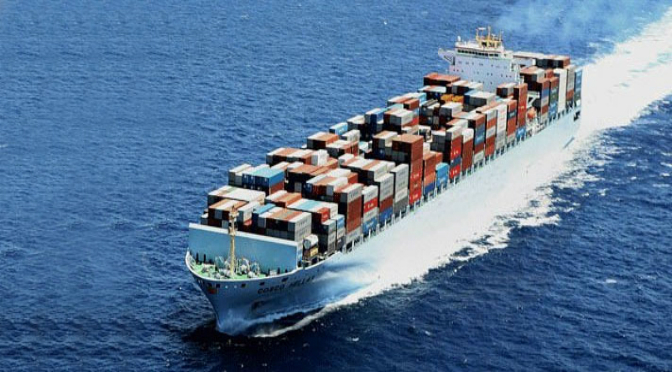 As one of the foremost Ocean Freight service providers, Lakhani Logistics Agencies offers the best Ocean Freight Services as Complete Logistics Solution Provider with full satisfaction and security. We have affiliated with shipping companies to ensure that the necessary capacity is readily available around the globe to connect reliably & fulfil all the customers’ requirements. We work together with you to develop a customized logistics solution tailored precisely to your needs – from partial loads (LCL) to full-container (FCL) solutions. We handle a wide range of Ocean Freight Export & Import Tues worldwide on annual basis, ensuring that your cargo reaches the right place, at the right time in the most cost-efficient way. This not only makes us unique in the industry but also the best option available for our valued customers as a trusted organization. Contractual Rates with Major Shipping Lines e.g. Maersk, CMA, CGM, UASC, Hapag Lloyd and OOCL . Ability to Handle DDP and DAP Shipments. Provisions for value added service e.g. Cargo Insurance, Surveys, and Distribution Services etc.